The bromance between Florida Georgia Line and the Backstreet Boys will continue on an upcoming episode of CMT Crossroads on August 30. After FGL and BSB joined forces to record No. 1 hit, “God, Your Mama, and Me,” in 2016, the two boy bands embarked on 2017’s Smooth Tour for select stadium dates. Now Brian Kelley, Tyler Hubbard, Nick Carter, Kevin Richardson, Brian Littrell, Howie D and AJ McLean will take the CMT Crossroads stage for an hour-long show to collaborate on a number of tunes, including “I Want It That Way,” “As Long As You Want Me,” “Cruise,” “H.O.L.Y.,” “God, Your Mama, and Me” and more. 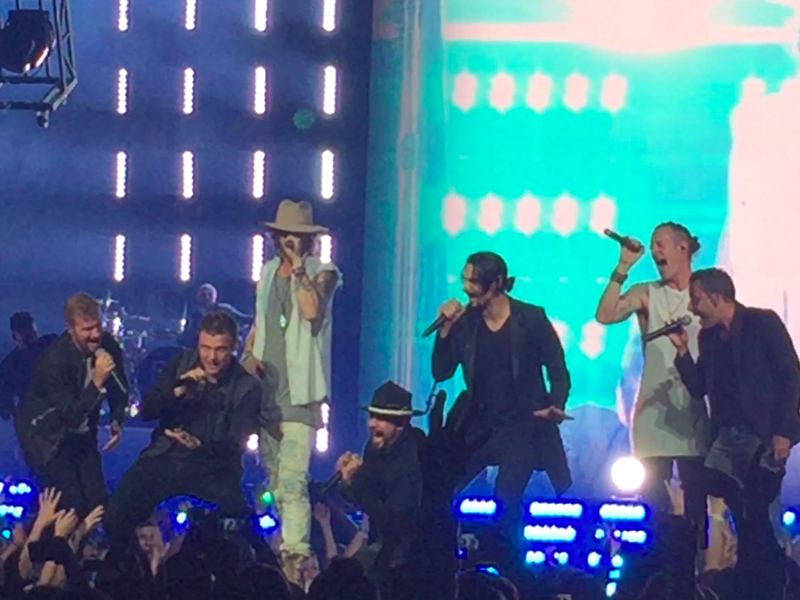 The Backstreet/FGL CMT Crossroads will air at 10 p.m. ET on Aug. 30.